Patients’ vision may regress after surgery, and they may need to use eyeglasses at times, some concede. But most Lasik surgeons maintain that soreness, dry eyes, double vision and other visual aberrations like those suffered by Mr. Ramirez subside within months for most patients. “Over all, it is the best thing I’ve ever done for myself,” said Mr. Puglisi, who lives in Baldwin, N.Y.
Surgeons frequently point to the procedure’s popularity as evidence of its success: Lasik was performed on some 700,000 eyes last year, up from 628,724 in 2016, according to Market Scope, a market research company that focuses on the ophthalmic industry. “Do bad outcomes sometimes occur? Yes. But the risk is extremely low,” said Dr. Eric Donnenfeld, who was Mr. Puglisi’s surgeon and a past president of the American Society of Cataract and Refractive Surgery. Yet few studies have followed patients for more than a few months or a year, and many are authored by surgeons with financial ties to manufacturers that make the lasers. One such study, written by the global medical director for a large laser eye-surgery provider, reported high satisfaction rates among patients five years after Lasik. But the study also found that even after all those years, nearly half had dry eyes at least some of the time. Twenty percent had painful or sore eyes, 40 percent were sensitive to light, and one-third had difficulty driving at night or doing work that required seeing well up close. Researchers at Ohio State University analyzed clinical data submitted to the F.D.A. by Lasik system manufacturers. The researchers reported in 2007 that while most of the roughly 4,500 patients had achieved 20/20 or 20/40 vision six months after the procedure, 20 percent had dry eyes that were severe or worse than before surgery. A similar percentage experienced “severe or worse” glare, halos and problems driving at night. Lasik surgeons say the procedure has improved over time, and one surgeon’s 2017 analysis of more recent data submitted to the F.D.A. by manufacturers concluded that for many patients, visual problems eventually resolved. Still, a year after surgery, the percentage of the roughly 350 patients who had mild difficulties driving at night had increased slightly to 20 percent, while the percentage with mild glare and halos had more than doubled to about 20 percent in each category. The percentage with mild dryness more than doubled to 40 percent. Now a vocal cadre of patient advocates is demanding the agency issue strong public warnings about Lasik. The group is led by Morris Waxler, a retired senior F.D.A. official who regrets the role he played in Lasik’s approval over 20 years ago, and Paula Cofer, a patient-turned-advocate who says Lasik destroyed her eyesight and left her with chronic pain. Ms. Cofer now runs a website, lasikcomplications.com, that features blog posts like “Top 10 Reasons Not to Have Lasik Surgery” and is dedicated to two men who committed suicide after suffering Lasik complications, including Max Burleson Cronin, a 27-year-old veteran. Max Burleson Cronin in 2014, two years before he committed suicide. Following Lasik surgery, he said his vision deteriorated to the point he could not see at night or read on a computer, and that he was in unremitting pain. He left a note that said, “Doctors destroyed my eyes, and ruined my life,” according to his mother. “We want the F.D.A. to warn the public that Lasik injures eyes and causes pain, vision problems and other persistent problems that cannot be solved — and that you don’t get these problems from glasses or contact lenses,” said Dr. Waxler, a former chief of the diagnostic and surgical devices branch in the F.D.A.’s division of ophthalmic devices. He has unsuccessfully petitioned the agency to withdraw the approvals, arguing in his brief that laser manufacturers underreported or misclassified adverse events that occurred during clinical trials. Other recent studies suggest Lasik patients may also be at increased risk for long-term eye complications, including possibly requiring earlier cataract surgery and developing a serious vision-threatening condition called corneal ectasia. Lasik can also interfere with the detection of glaucoma, or the buildup of pressure within the eye that, if left untreated, can lead to blindness. 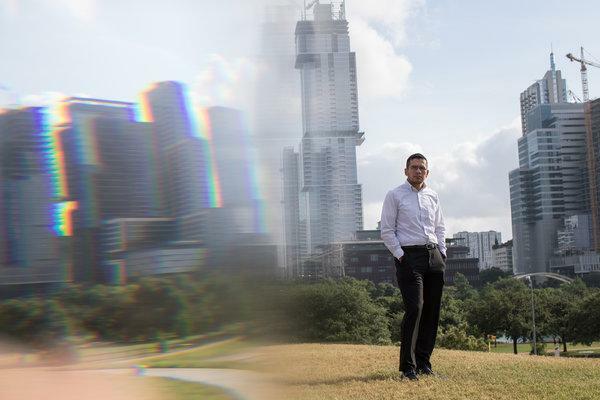 Scott Petty, 36, a 3D artist from Houston who developed video games for a living, was diagnosed with corneal ectasia six months after having Lasik surgery. Both Mr. Petty and Mr. Ramirez said shame and self-blame keep many Lasik patients from publicly talking about their injuries. Lasik — short for laser-assisted in situ keratomileusis — eliminates the need for glasses by reshaping the cornea, the clear round dome that covers the front of the eye. The cornea’s function is to focus light on the retina at the back of the eye. Lasik surgeons use an ultraviolet laser to reduce the curvature of the cornea for people who are nearsighted, and to accent it for people who are farsighted. The surgeon first uses a suction ring to flatten the eye in order to cut a flap in the cornea, folding the flap back to reveal the middle section, called the stroma. Then the surgeon uses pulses from a computer-controlled laser to destroy a portion of the stroma, and replaces the flap. The entire procedure, which costs $4,176 on average, is usually over in less than 15 minutes. It is not covered by most health insurance policies because it is considered a cosmetic or elective procedure. Dr. Cynthia MacKay, one of the few ophthalmologists who has spoken out against the procedure, said the surgery can injure the eye because it severs tiny corneal nerves, thins the cornea and makes it weaker, and permanently alters the shape of the eye. Indeed, the F.D.A.’s new clinical trial, carried out with the National Eye Institute and the Navy Refractive Surgery Center and published last year, was the first to report that people who did not have dry eyes or visual aberrations before Lasik were at high risk for developing these problems: 28 percent of these participants developed dry eyes after surgery, and 45 percent reported a new visual aberration three months after surgery. But many of the trial’s 574 participants reported having visual aberrations and dry eyes before surgery, and the study concluded that Lasik slightly reduced the prevalence of these problems. Three months after surgery, however, glare, halos and double vision were common, affecting 50 to 60 percent of all patients, with up to 5 percent characterizing them as “very” or “extremely” bothersome. Even after six months, some 41 percent of patients reported visual aberrations, with nearly 2 percent — or one in 50 — saying the symptoms presented “a lot of difficulty” or “so much difficulty that I can no longer do some of my usual activities.” And one-quarter of the patients followed six months had mild to severe dry eyes. The authors did not publish findings about other adverse outcomes, like eye pain, difficulty working on a computer and difficulty driving at night, and the raw data has yet to be released as required for publicly funded trials. 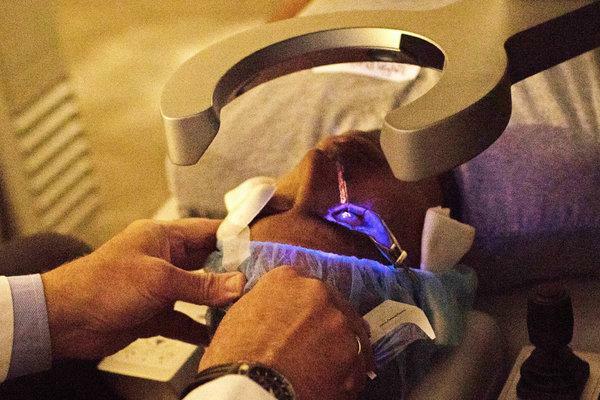 Dr. John Vukich, chair of the American Society for Cataract and Refractive Surgery’s refractive clinical surgery committee, acknowledged that visual distortions are potential side effects of Lasik, but said technological advances have reduced the risk. “No eye is optically perfect, and all eyes (with or without Lasik) have at least some degree of higher-order aberrations. These irregularities can cause visual distortions,” he wrote in an email. The study’s lead author, Dr. Malvina Eydelman, director of the division of ophthalmic and ear, nose and throat devices at the F.D.A.’s Center for Devices and Radiological Health, said the researchers had concluded that the multimillion dollar trial was too small to produce meaningful results, and that the purpose of the study had shifted from determining how many patients have problems functioning to developing a questionnaire that might be used in future research. “The F.D.A. does not have the money right now to perform the study that was originally planned, which was to estimate the percentage of patients who have difficulty performing their usual activities as a result of symptoms following Lasik surgery, and identify the predictive risk factors for those patients,” Dr. Eydelman said. Dry Eyes or Eye Pain? The F.D.A. clinical trial did little to resolve the contentious debate about dry-eye disease. Many patients say the term is a misnomer that does not begin to describe the severe eye pain they have continued to experience years after surgery. “When you hear, ‘You may have dry eyes,’ it doesn’t sound like a big deal,” said Sarah Clair, 26, of Richmond, Va., who had Lasik in 2016. But her dry-eye syndrome did not resolve as promised, and a year after surgery morphed into intense pain that felt “like someone had punched me in the face,” said Ms. Clair. While some patients have mild symptoms that can be managed with artificial tears or prescription eyedrops, others have crisscrossed the country seeking relief for pain they say feels like needles or knives in their eyes, and use medication to ease the pain. Katie Enders, 35, a kindergarten teacher in Cleveland, said her 2006 Lasik surgery left her feeling she had “paper cuts in her eyes.” She saw over a dozen doctors and tried several pain medications, finally getting relief from a pain pump implanted in her abdomen that carries a constant infusion of anesthetic up her spine. Many Lasik surgeons are dismissive of claims of persistent severe pain or call it extraordinarily rare. But ophthalmologists who study pain say their thinking has evolved in recent years, and they now recognize Lasik as one of many surgical procedures that can lead to neuropathic pain, or pain caused by nerve damage. Other eye surgeries, like cataract surgery, can have the same effect. “Every single time you do surgery and cut into tissue, you damage nerves. It doesn’t matter if it’s breast surgery or eye surgery,” said Dr. Anat Galor, an associate professor of clinical ophthalmology at the Bascom Palmer Eye Institute at the University of Miami. Her review paper found that between 20 percent and 55 percent of Lasik patients have persistent dry eyes, defined as lasting at least six months after surgery. Dr. Pedram Hamrah, director of research at the New England Eye Center at Tufts Medical Center, has written about treatments for neuropathic eye pain and is doing research to identify patients at risk for poor outcomes. Among those who may be at risk are people with large pupils; thin corneas, abnormally shaped corneas or other corneal abnormalities or scarring; high degrees of astigmatism; severe dry eye; and possibly people who have other sensitivities, pain syndromes or neurological disorders, frequent headaches or anxiety and depression. Critics contend that Lasik should be held to a higher safety standard than other medical procedures, since it is optional.